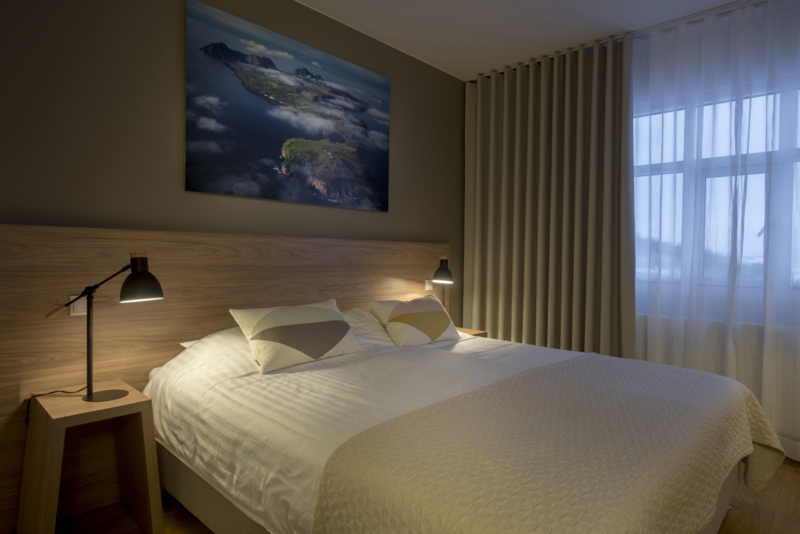 HOTEL GULLFOSS invites you to stay in our magnificent sourroundings in one of the best locations in Iceland, just 90 minutes east from the capital are of Reykjavik. 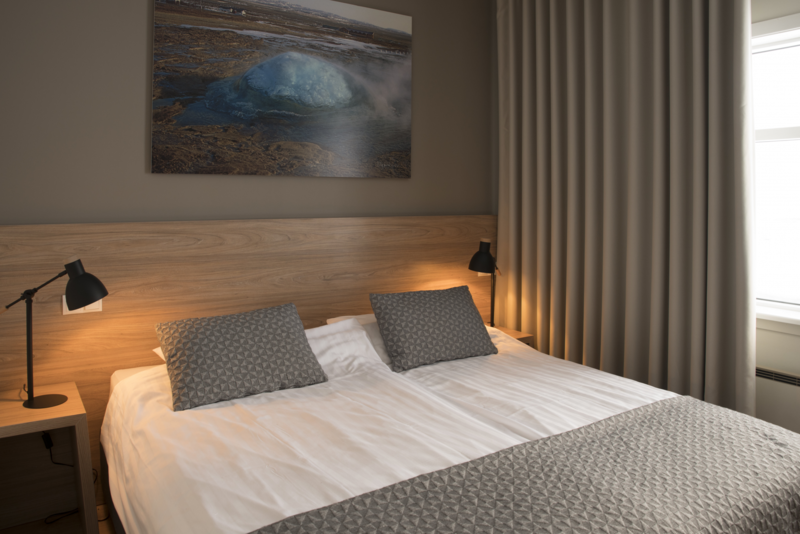 Our wonderful location is on the magnificent Golden Circle Route, just between the famous GEYSIR area and GOLDEN WATERFALL (Gullfoss). With spacious and cosy modern style rooms, Single, Double or Twin, with the possibility to add an extra bed if needed. All our rooms are Non smoking. The Buffet Breakfast is INCLUDED and served between 07:30 until 10:00 in the morning and is Included in your stay, it is complimentary. The hotel restaurant is open from 18:00 for dinners. The restaurant is offering pre packed lunch boxes on request. Superior Double room with two comfy single beds or one double bed with private bathroom with shower. 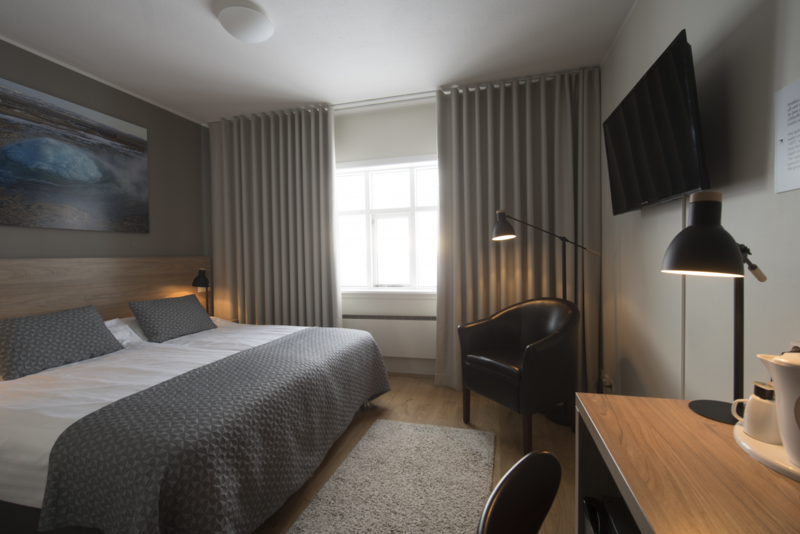 Modern style and cosy with all you need and more for your stay. You have chosen one of the best locations in Iceland. The price is for the room/night, including breakfast buffet for every guest. ALSO AVAILABLE AS A DOUBLE ROOM WITH TWIN BED. OR MAKE YOUR CHOICE IN THE NEXT RESERVATION STEP / NEXT PAGE. Standard Double Room with two comfy single beds or one double bed with private bathroom with shower. Modern style and cosy with all you need and more for your stay. HOTEL GULLFOSS is surrounded by extraordinary landscape, popular tourist destinations, golf course, swimming pool, outdoor geothermal hot pool, other restaurants, horse rentals, guided hiking tours, beautiful Haukadalur forrest for picknic og hiking, highland road, glacier tours, greenhouse visit, souvenir and design shops, grocery stores and natural hiking trails and peaceful unspoiled areas for relaxing moments. As a standard for all our spacious rooms we have free WiFi, refrigerator/fridge, large TV screen, complimentary coffee/te facilities, wardrope/closet with luggage area, hairdryer, service telephone, large desk with all the plugins, comfy beds, extra cosy chair, hair dryer and extra pillows, private bathroom with shower and all the amenities you need. Heating in every room is adjustable from inside the room. A landscape scenery from every room. We offer rooms with facilities for disabled guests with easy wheelchair access, bathrooms with shower and higher level toilets with safety handles. NO elevators as we have all our rooms, lobby and the restaurant on the ground floor. Included in your stay, for all our guests, breakfast buffet every morning, served at the hotel restaurant. Free parking in our parking place outdoors. Free WiFi in every room, in the lobby and seating area. You can cancel up to 5 days before check in. The maximum number of extra beds in a room is 1 bed. Every room is Non-smoking and smoking is prohibited throughout the hotel. Facilities for disabled guests. Wheelchair accessible. 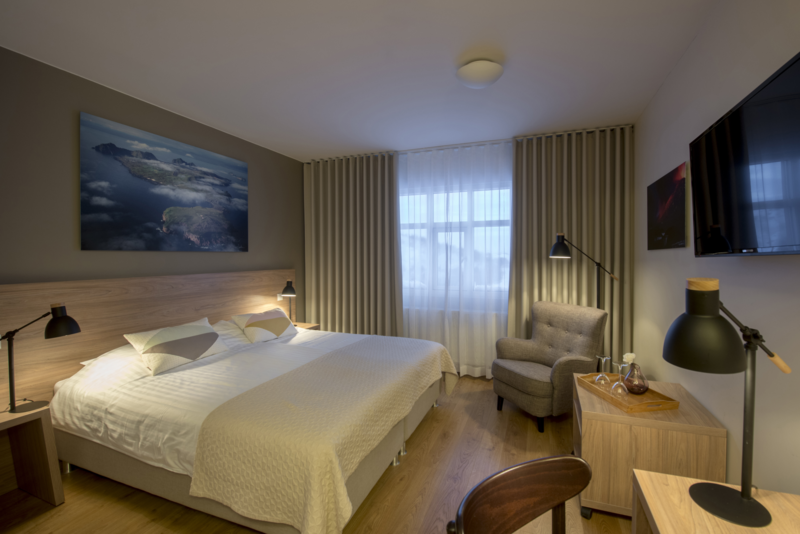 HOTEL GULLFOSS IS A FAMILY OWNED AND OPERATED ESTABLISMENT AND WE TAKE PRIDE IN OUR PERSONAL SERVICE ALL THE TIME.